The Band of the Sociedad Musical Lira Castellonera was created 1878 and reestablished in 1909 under the baton of Jaime Fayos Torres, who writes their most glorious pages. With him they won several First Prizes of the Valencia Contest (1925, 1927 and 1945) and becomes one of the best spanish bands at his time. The Band’s next conductor was Luis Ayllón, who in four years won two First Prizes (1947 and 1949) and two Second Prizes (1948 and 1950) in the Valencia Contest. The Band’s principal conductors have included Francisco Hernández Guirado, Pablo Sánchez Torrella, Francisco Fort, Nicanor Sanz, Francesc Perales, Teodoro Aparicio, Juan Pablo Hellín, Carlos Revert and Alexis Calvo. Eduardo Cifre Gallego is the Band’s honorary conductor. Between 2009 and 2014, Jose Tello Espert leaded the group to realize its full potential. 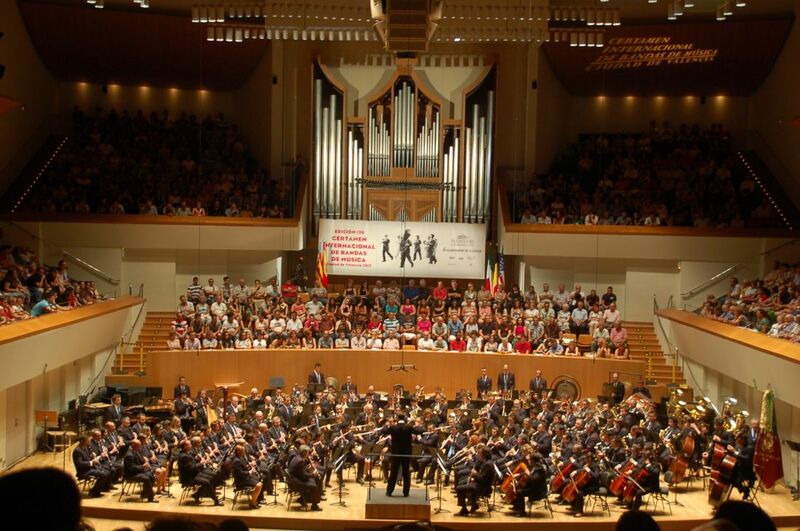 Their performances in recent years include three concerts in the Palau de la Música and the Band’s return to the Honorary Division of the International Wind Band Contest “City of Valencia” where they won Third Prize in 2012 and in 2014. In 2013 the Band performed in the Barcelona Auditorio with the Barcelona Municipal Band, conducted by its director, Salvador Brotons; in Llíria as a guest band at the 5th Iberoamerican Conference of Composers and Conductors; and last year in the 3rd “Les Bandes a les Arts” concert series. Since april 2015, Beatriz Fernández Aucejo is her principal conductor.